Born in Philadelphia, PA, Jonathan Singleton began his musical career at the age of 6 when a student teacher offered him clarinet lessons, thus instilling in him a deep passion for music. He continued playing clarinet through high school and college, studying with Karl Krelove, Lennart Olsen, and Andre Lizotte. While a student at the Berklee College of Music in Boston he began playing piano, studying with Dean Earl and Lazlo Gardony. He graduated from Berklee in 1987 with a Bachelors Degree in Music Production and Engineering. After graduating he continued his piano studies with Frank Wilkins. He is currently musical director for Orpheus/EMI recording artist Andre Ward and for City Stage Co., a non-profit children’s theater company that provides opportunities for urban children and families to participate in the performing arts in the neighborhoods where they live and work. Jonathan is a member of the music staff of the historic Twelfth Baptist Church of Roxbury, where he directs several choral groups including the Youth Choir and the Gospel Ensemble. He directs Northeastern University’s J.D.O.A.A.I. Unity Gospel Ensemble and also the Bunker Hill Community College Gospel Choir. 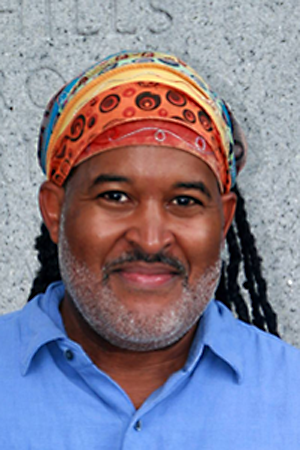 He has directed several other choirs and choruses including the Berea SDA Inspirational Choir, the Kuumba Singers of Harvard, and the Boston College Voices of Imani. Through these choral groups he seeks to preserve and present the rich variety of African-American cultural/musical expression. As part of his work with City Stage he composed the score for “What’s the Big Idea?”, an interactive stage play presented at the Boston Children’s Museum. His arrangements for gospel choir and orchestra have been performed by the Quincy, Melrose and Cape Ann Symphonies. Most recently, he was commissioned by the Mystic Chorale to compose a reflection on the Beatitudes which premiered in the fall 2007 Mystic Chorale concert. Jonathan released his first CD, “Soul Food” in February of 2005.